Clinical research suggests that 30% of new mothers will suffer lasting problems with Urinary Stress Incontinence but a recent survey by health author Janey Lee Grace, as part of her research for a new book, revealed that it was the biggest problem affecting new mothers with over 50% experiencing embarrassing leaks. 15,000 new mothers every week look for effective help and advice on how to get back to full health and fitness after childbirth, but the lack of any pro-active NHS programme of pelvic floor rehabilitation means that every week between 5,000 and 7,500 new mothers will succumb to the lifelong embarrassment of ‘accidental’ urine leaks. In a recent survey of GP practices, 62% of women seeking help and advice for pelvic floor problems received the standard NHS approach of an information leaflet. . This approach does not meet any NICE guidelines and there is no clinical evidence that it offers any real help. It is also in total contrast to the French system where every new mother receives vouchers for 10 one-on-one sessions with a specialist physiotherapist. The survey of GP practices also highlighted that fewer than half (48%) of practices could correctly identify the current NICE Guidelines that recommend that women be individually assessed, trained and supervised by a specialist in a three month programme of Pelvic Floor Exercise (PFEs). Only 20% actually refer patients to physiotherapy or a continence nurse for such treatment. Fewer than 2% of practices are prescribing the easily available PelvicToner device that offers the greatest hope of a rapid improvement of pelvic floor muscle tone, and is clinically proven to be as effective as supervised PFEs but at a tenth of the cost. All new mothers and any women with stress incontinence or symptoms associated with pelvic floor muscle weakness can ask their GP to prescribe a PelvicToner™. New mothers will receive their PelvicToner free of charge on presentation of a valid Maternity Exemption Certificate. Stress incontinence is still a taboo subject and many women will just not discuss the matter with their GP, partners, friends or colleagues. And the problem is huge. There are over 7,000,000 women in the UK with the problem and every week 15,000 new mums are in urgent need of sound advice so that they do not join this growing total. Unfortunately, 5000 or more will – every week! Pelvic floor rehabilitation in new mums is a matter of great importance yet, universally, this group are not being offered positive help and advice. One of the greatest concerns identified by the recent practice survey is that very few GPs are even aware of the first major advance in the NHS primary care treatment of SUI for over 60 years. 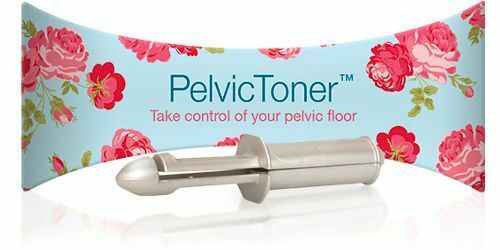 The PelvicToner™ offers much improved outcomes for the women who use it and brings significant cost benefits to the NHS. Prescribing the PelvicToner in the first instance could and should save the NHS GBP millions and enable the NHS to focus scarce resources such as Continence Advisors, specialist physiotherapists, urologists and surgeons on the most urgent cases. The PelvicToner is the first and only pelvic toning device to be recognized by the NHS and a special new category of ‘Pelvic Toning Devices’ was created on the Drug Tariff IXA. The manufacturers of the PelvicToner have launched a Facebook campaign – “New mothers deserve better” - to draw attention to the problem supported by Twitter (@mothersdeserve).